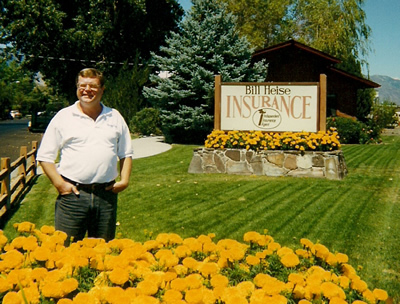 Bill Heise Insurance is independently owned and locally operated to handle your insurance needs. We focus on Minden and offer affordable and reliable insurance choices all across Nevada. We invite you to complete an online quote, call us at 775-782-7121, or contact us at bill [at] billheise [dot] net to review coverage options for car insurance, home insurance, business insurance, renters insurance, boat insurance, and more. We provide free, no hassle and no obligation insurance quotes to help you make an informed insurance decision. Bill Heise Insurance strives to offer you quality insurance coverage, a high level of professional service and a long-term relationship. As independent insurance agents in Nevada, we’ll research rates and coverage from top insurance companies to find the best insurance rates and insurance plans for you. We do the insurance shopping and comparing for you to save you time and money!